My last kids x mas craft class is TODAY! It went by might fast. I can’t believe in two weeks I’ll be home for the holidays! Today’s projects are: snow globes (which are so easy and fun to make) AND 3-D tree ornaments (also easy, fun, and effective!). 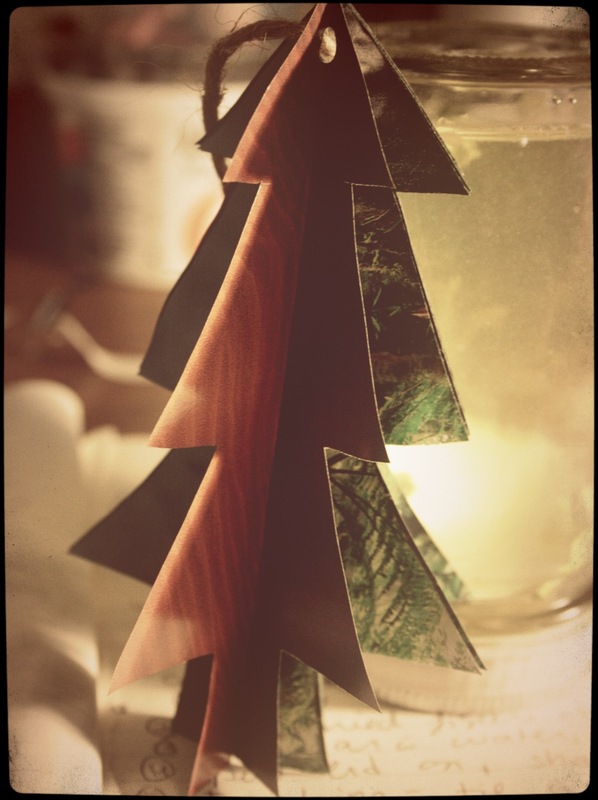 to make a 3D tree all you need are some magazines or wrapping paper, scissors, a marker, and a glue stick! 1. stack 4-6 sheets of magazine or wrapping paper on top of one another, and fold in half. 2. Draw half of a christmas tree (or any other fun shape, star, circle…) along the fold. 3. Keep the paper folded, and cut out your tree, so that when you unfold the paper, you have a symmetrical stack of x mas trees! 4. lay your trees flat, and punch a hole at the top. 5. Glue time! using the fold line as a guide, separate all of your trees, and glue one half of your first tree. 6. Glue half of the second tree down to the half of the first tree. 6. Alternate glue sides, and THEN to finish, fold out all of our non glued sides, and voila! 3D tree! Put a string through one of the holes, and its ready to hang! 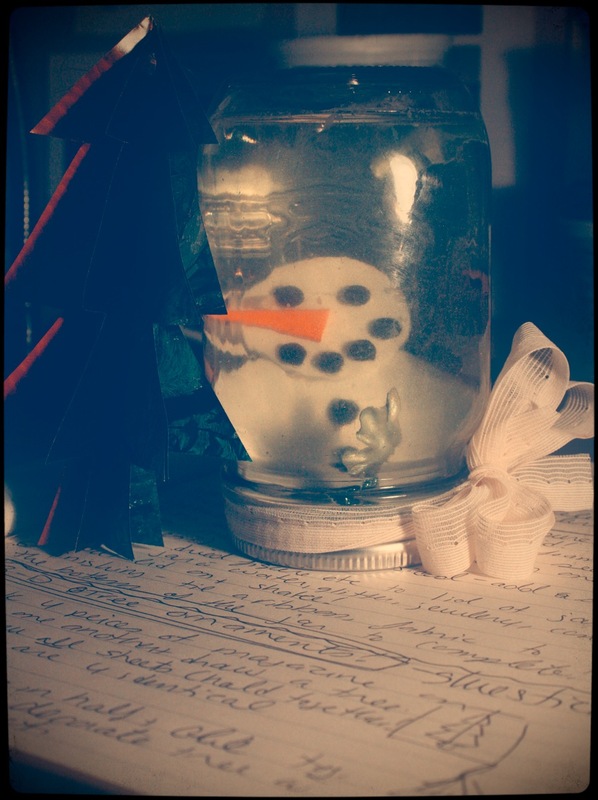 Snow globes are so easy and fun! 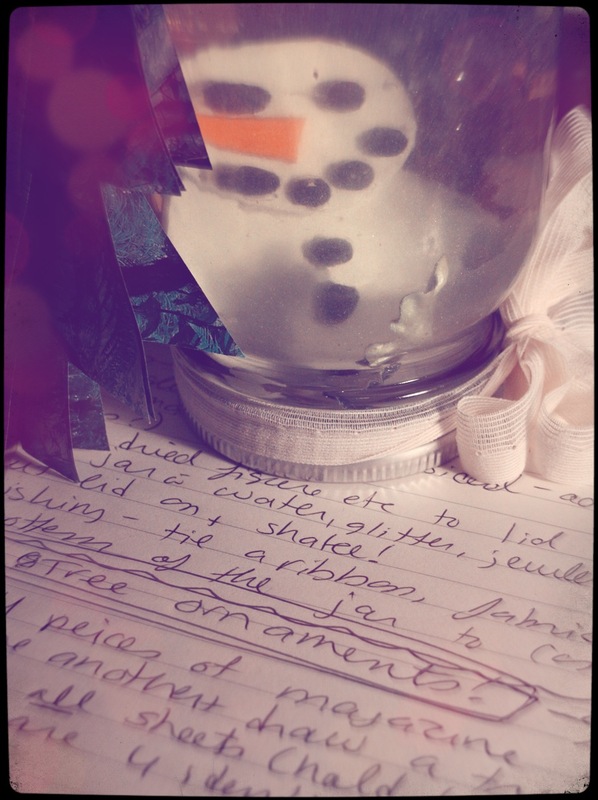 For mine I am using foam sheets (cut into a snowman) water, sparkles, crushed eggshells etc. You can also include jewellery, food colouring, twist ties…anything that won’t disintegrate in water! Use a glue gun to attach all of your pieces to the lid of your clear jar, fill your jar with water and sprinkles, then tightly put the lid back on to your jar. Voila! A beautiful snow globe! You can also use little plastic figurines, but kids might find it more enjoyable to make their own! Hope all the kiddies had fun! 🙂 Sure you didn’t want to try sparkley balloon string balls? :S eep! that was actually our first class! I find the best thing you can do is stick with it. A posting schedule usually seems to work best, and once you’ve established what days you are going to post it will help readers know when to keep coming back for new content. My blog is about four years old and to be honest I haven’t done a whole lot to gain as many followers as I have! It takes time and persistence I guess! If your blog gets featured on WordPress that really helps up your following. I think there is a little bit of info on how to get featured on the wordpress main page. One other thing too is to make sure you reply to people’s comments, and follow and comment on other people’s blogs and try to make lots of connections! Hope that helps a little and good luck!